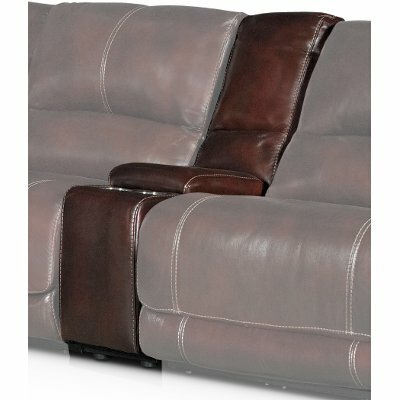 Pick up this burgundy 6 piece leather-match manual reclining sectional sofa today from RC Willey. 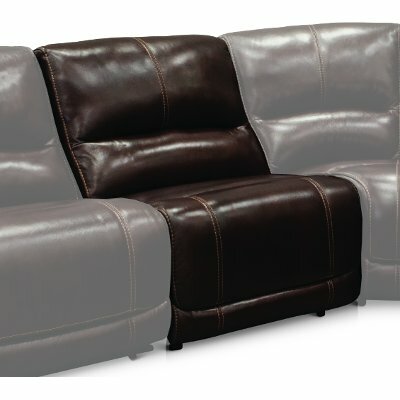 It features three reclining pieces, an armless chair, corner wedge, and a convenient console with two cupholders and hidden storage. It's well tailored with clean lines, not lumpy. The hardwood frame is wrapped in foam that's customized to each frame for the perfect look and feel. All leathers and fabrics are cut and sewn in our facility, providing consistent quality control. Not only will you enjoy the look and feel, but this piece is durable and easy to clean as well.